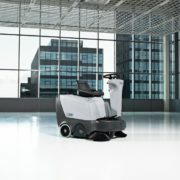 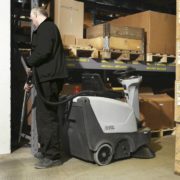 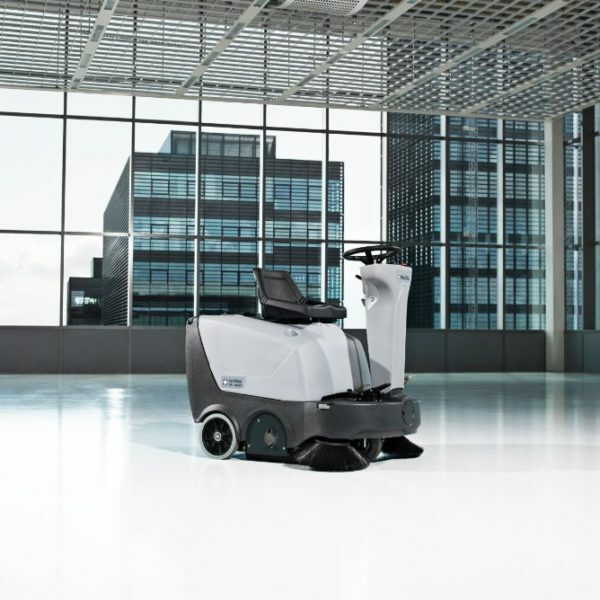 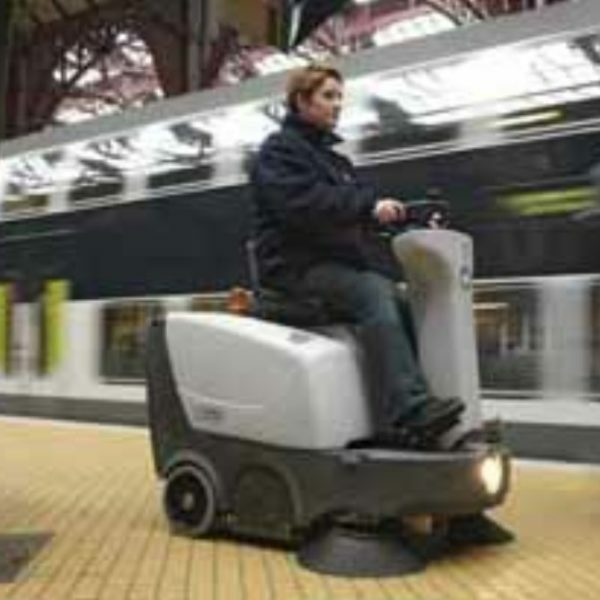 The Nilfisk SR 1000S sweepers are compact, highly manoeuvrable, highly productive for either indoor or outdoor use. Recommended for loading bays, station platforms, indoor carpet areas or warehouses with narrow aisles. 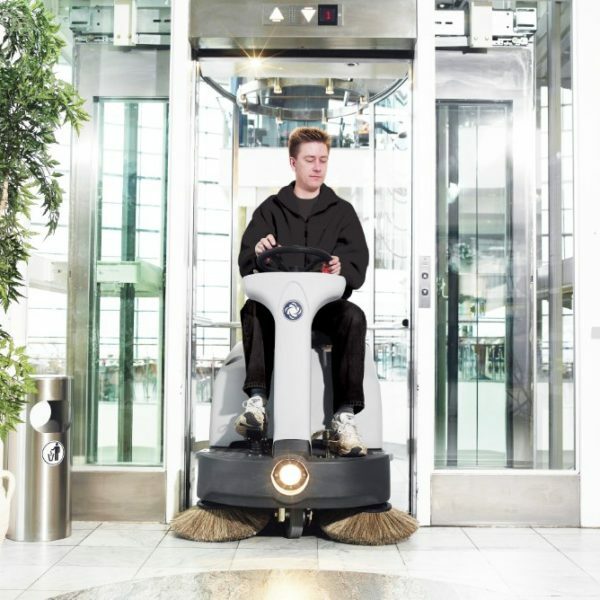 The sweeper is small enough to fit into an elevator, and manoeuvrable enough to reach the tight corners.Sweeping is done quickly, discreetly and efficiently. The steering column adjusts for easy access to the machine and for maximum operator comfort. 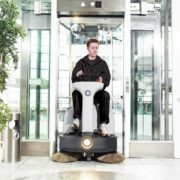 The batteries have a running time of up to 2.5 hours and with the on-board charger aloowing for it to be recharged anywhere. 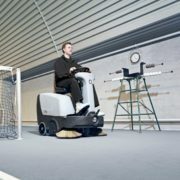 For indoor carpet sweeping an optional carpet kit is required. 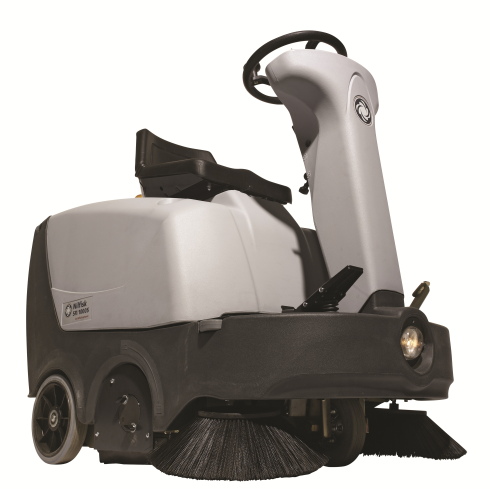 This includes a natural fibre main and side brushes, non-marking flaps and a pre-filter grid to catch the carpet fibres.